Be the first to share your favorite memory, photo or story of Therese. This memorial page is dedicated for family, friends and future generations to celebrate the life of their loved one. 93, of Lapeer, died Monday, January 28, 2019, at Lapeer County Medical Care Facility. She was born May 10, 1925, in Emmett, the daughter of the late John and Dora (Judge) Butler. Her marriage to Lawrence Smith was October 20, 1945, in Emmett. Lawrence died on May 24, 1984. Her marriage to Rev. Edward Swansburg was November 28, 1989, in Zephyrhills, FL. Edward died on June 7, 2004. Therese was a lifelong parishioner of St. John the Evangelist Catholic Church, Allenton and later St. Nicholas Catholic Church, Capac. She was a member of the Half Century Club, Capac, Capac Lions Club. She enjoyed bowling, china painting, ceramics, needlepoint, reading, flower gardening, spending winters in Zephyrhills, FL and taking her walks on Terry Road. She loved decorating for Christmas and shopping with her granddaughters. Surviving are a daughter and son-in-law, June and Dr. Lawrence Holen of Lapeer and son and daughter-in-law, Gregory and Lorrie Smith of Marco Island, FL, stepchildren, Linda (Will) Hendren, Nancy (Danny) Sexton and Andy (Jennifer) Swansburg; grandchildren, Michael Smith, Jeff (Kathryn) Smith, Katie Rose Smith, Kelly (Eddie) Behnke, Kimberly Smith, Lawrence Eli Smith, Dave Holen, Gord (Kim) Holen, Amanda (Kevin) Cox and Matthew (Greta) Holen, Swansburg grandchildren, Amy, Katie, Julie, Billy, Carly. Kerri Ann, Rachel, Mary and Lily, great-grandchildren, Ben, Sam and Jonathon; daughters-in-law, Michele (Doug) Carrol and Cindy Smith; cousin Bernice Dolan, her dearest niece, Elaine Killingbeck and several nieces, nephews and friends. She was preceded in death by a son Gary Smith in 2004, infant daughter, Susan Lee Smith, granddaughter Lori Michele Smith, niece Rose Ann Malloy and three brothers and five sisters. The family would like to thank Dr. McClimans, Dr. Lang, Dr. Almed, Ann O’Connell RN and the entire staff at Suncrest for their kindness, compassion and care of Therese Rose. 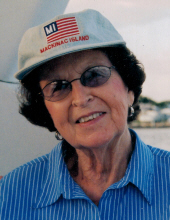 The family honors the memory of Therese and invites you to visit and share in the celebration of her life Friday, February 22, 2019, from 2:00 to 8:00 p.m. at Kaatz Funeral Directors, Capac. Rite of Christian Burial will be 11:00 a.m. Saturday at St. Nicholas Catholic Church, Capac, with 10:00 a.m. visiting. Fr. Doc Ortman, visiting, will officiate. Everyone is invited to enjoy lunch at Holly Meadows Golf Course following the service. Memorial contributions may be made to Suncrest Auxiliary or St. Nicholas Catholic Church. To send flowers or a remembrance gift to the family of Therese Rose Swansburg, please visit our Tribute Store. "Email Address" would like to share the life celebration of Therese Rose Swansburg. Click on the "link" to go to share a favorite memory or leave a condolence message for the family.